I became a Notary in April of ‘97 while working as a legal secretary for a solo attorney. Although I had worked in the legal field since the 1980's, I knew next to nothing about notarization. After submitting my application, I read the manual and took the test. I just barely passed the test. d. That I could be personally liable to one, or all, party(ies) to a transaction if I failed to perform my Notary duties in accordance with Hawaii state law and there was financial damage to those parties. In 2001 I renewed my commission and joined the National Notary Association (“NNA”). After beginning to receive the NNA’s magazine, “The National Notary.” Joining the National Notary Association was pivotal, and truly life-changing event for me in my career as a Professional Notary Public. By the end of 2001 I had left my employment with the attorney and launched out on my own as a Certified Notary Signing Agent. I also had begun and completed the NNA’s Home Study Course. When I made the decision to take this step I had also determined that I would going to educate myself so that I would be the best Notary Public that I could be in service of Hawaii’s citizens. The primary source of my initial training was the NNA’s Home Study Course where I learned what it means to be a “knowledgeable and prudent” Notary Public, and how important knowledgeable Notaries are in the prevention of fraud and the protection of the public that engages in transactions that need to be notarized. 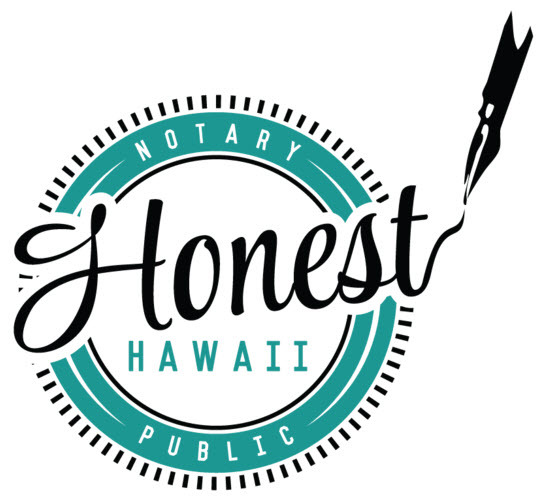 I began to learn there was so much more to being a knowledgeable and prudent Notary Public than I ever would have imagined from the Hawaii Notary Manual and also began to realize that the minimal information provided in Hawaii prior to or during the commission process is simply not adequate to prepare a person to be an Honest Hawaii Notary. There are so many principles of prudent and knowledgeable notarial practice that are NOT contained within the state laws. Statutes and/or rules, at best, only tell you what is required or what is referred to as the “letter of the law.” To further add to the dilemma Notarys face, there is no one place on the Notary Office website that either tells you ALL of the laws/rules/resources that are required for a Notary to know, nor are all of those resources provided on the Notary Office websites, either. Essentially, new Notaries are given less-than-basic information about their job, their duties and the extent of the liability they are exposing themselves to, and, after passing the test, are given a commission and sent out to practice as Hawaii Notaries Public, mostly without a clue as to what is required or that they desperately need to educate themselves about the new responsibilities they have just accepted. The Notary laws have changed over the years, all mostly without significant input from Notaries themselves. The basic ethical practices and principles a Notary should know include the duty a Notary owes to all parties affected by the transaction, responsibility for obeying all law that apply to notarization, and prudent and knowledgeable notarial practice that will protect the customer from financial damage and the Notary Public (and possibly the Notary’s employer) you from exposure to civil and or criminal liability that can occur as the result of a notarized financial transaction. Over the years I have done thousands of notarizations as a professional Notary Public and in that process have encountered Notaries who engage in unethical and/or downright illegal practices. I’m sure that some of those practices occurred because of simple ignorance of what is required by state law. However, ignorance of Hawaii notary laws is no excuse. Notaries who do not make it their job to know the laws they must abide by daily put themselves at risk for civil and/or criminal liability. Early on in my Professional Notary career, I coined the tag line: Doing what is right, not just what is convenient...,” because that was the opposite of what was often expected of me. Frequently I was asked to sidestep Hawaii law when attempting to positively identify a signer, or when I was asked to notarize an incomplete document. The truth is that the business of Notary Public (whether voluntarily or as an employee of a company) is one in which the customer is not always right and many customers do not take that fact with grace. Over the years of seeing the challenges faced by Notaries, being exposed to Notaries who do a great disservice to the Hawaii public because of their refusal to educate themselves, or are simply taking advantage for the $$$, I became determined to develop a training program specifically for Hawaii Notaries; a training that would be available online, at any hour of the day or night the Notary chose to access it and educate themselves. As part of the training I envision I will also make myself available to answer questions and to mentor students who truly understand that to be an Honest Hawaii Notary they need to continue to educate themselves the benefit of the public as public officials. 5. Whether careless and unintentional, or purposeful, breaking of Hawaii law by Notaries greatly increases the chance that FRAUD can be perpetrated by one party on other parties. One opportunity for this to take place is in the type of notarization that is permitted if the signer does not have an I.D. that is acceptable. I recently spoke with two Notaries who routinely violate Hawaii law (one said she does this “often”) with regard to the manner of identifying a signer without acceptable I.D.